My week feels busier than it looks this week so I've gone for matching themes in both planners. It's ended up rather pink so I added pink stickers just to put the icing on the cake, using some sweet ones I bought from paperchase. 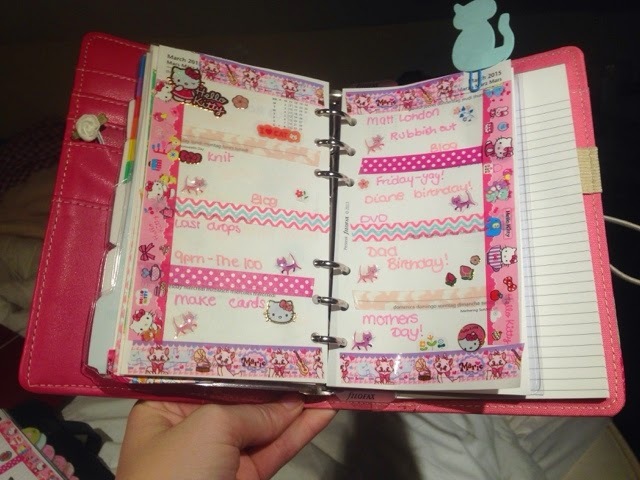 As our kittens have arrived, I opted for kitty themed washi and stickers, using both aristocrats and hello kitty. 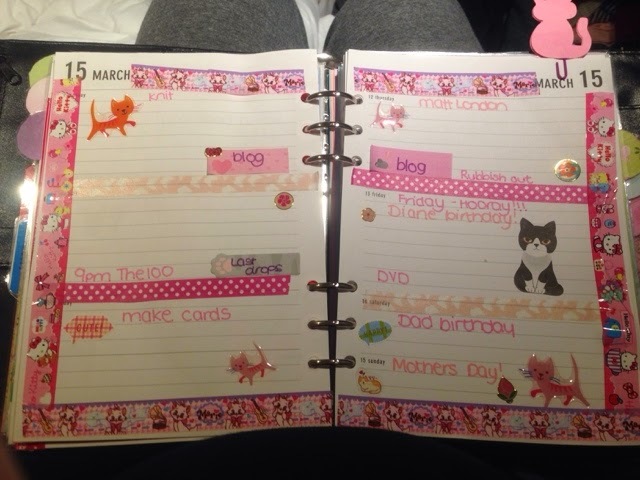 This started the pink theme off which I then added to with some skinny pink washi. 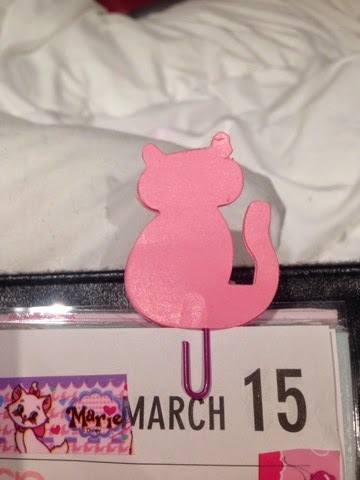 I decided to add cat themed paperclips this week too, although I'm not sure they're too durable as they're made using paper toppers. I hope you're having a good week whatever you are doing!